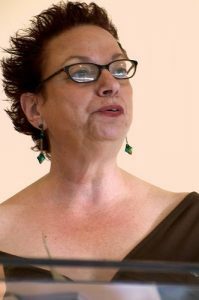 MPW, award-winning poet and author of 11 books, including a forthcoming anthology of her work (Red Hen Press, Fall 2014). Ms. Bogen’s work has been included in California Poetry from the Gold Rush to the Present, The Outlaw Bible of American Poetry, Stand-Up Poetry, and Spot Literary Magazine. She is a recipient of the UCLA Extension Outstanding Instructor Award in Creative Writing. 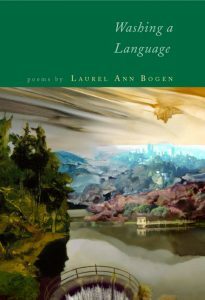 Read an interview with Laurel Ann Bogen on Bibliobuffet.com. Watch Laurel Ann Bogen reading her work here and here. Poetry and the performance of poetry have given me a meaning to my life, and I feel honored to teach that which I know to my students in the Writers’ Program. I believe we all have our own gifts—some people are great brain surgeons, great chefs, great plumbers or great basketball players—we all share the same creative spirit and need to give to the world, to find our own voices. What I attempt to do in my classes is create a supportive atmosphere where we can find our own voices, where we can write from the authentic place where all poems come from…from the truth. In my classes, I do not judge students against each other, indeed, students are rated on how far they have come in a quarter. I expect my students to participate fully—from in-class discussions on modern poetry to offering feedback on each other’s work. We discuss different topics and techniques and each week write poetry concerned with that topic. If students are earnest in their attempt to master the craft and art of poetry, that is all that I ask. I look forward to seeing you in one of my classes. *Laurel Ann was recently nominated for a Pushcart Prize for the following poem, published in Spot Literary Magazine (Vol. 4. No. 2).